GMO free ! Certified Kosher by Badatz in Israel. "Le Veneziane" are made from 100% corn meal flour, and their yellow color comes from the natural carotenes (provitamin A) contained in the actual corn. 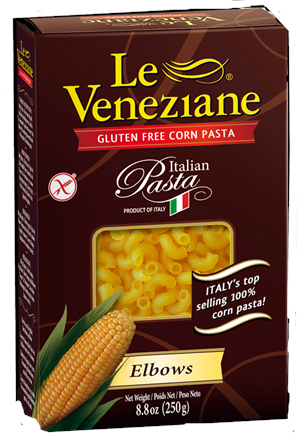 It is a food that has been specially designed for those with gluten intolerance. The excellent cooking qualities ensure that this pasta tastes great and is easily digestible.